Automation saves time and money and reduces the risk of human error. Kurmi reduces the time to provision a new user by up to 80%. Provisioning unified communications is fast, and one-click deprovisioning is even faster! Your Unified Communications and Collaboration experts should be focused on new projects and not everyday requests tickets. With Kurmi, you can delegate the day-to-day management to employees with no UC skills such as helpdesk staff, local administrators, and HR assistants. Advanced delegation features (role-based management) as well as rollback and scheduling capabilities enable you to finally simplify the setup and monitoring of your organization for the day-to-day management of your Enterprise Communications systems.  Want to seamlessly manage an on-premise Cisco Unified Communications Manager, with Webex conferencing, Microsoft Skype for Business for IM&Presence and UCCX for your Contact Center? Kurmi can do all this by offering a central control point to manage all your unified communications applications in a hybrid and multi-vendor environment. You can integrate new services, such as IM, softphones and collaboration or migrate your telephony system without changing or increasing the number of management tools. You are no longer locked in with any one vendor and can choose best-of-breed services for your end-users. Kurmi Unified Provisioning provides all the tools you need to streamline and optimize the day-to-day management of users on your enterprise communications systems. Easily define user profile templates by function and/or sites. Provisioning now takes a matter of seconds. With Kurmi sites/departments templates you can easily deploy new sites or change existing ones. Advanced RBAC features to manage administrators profiles and delegate operations with no compromise on security. Monitor the operations performed by your team and revert any action in one click when necessary. Need to make a change to all users of a single site? 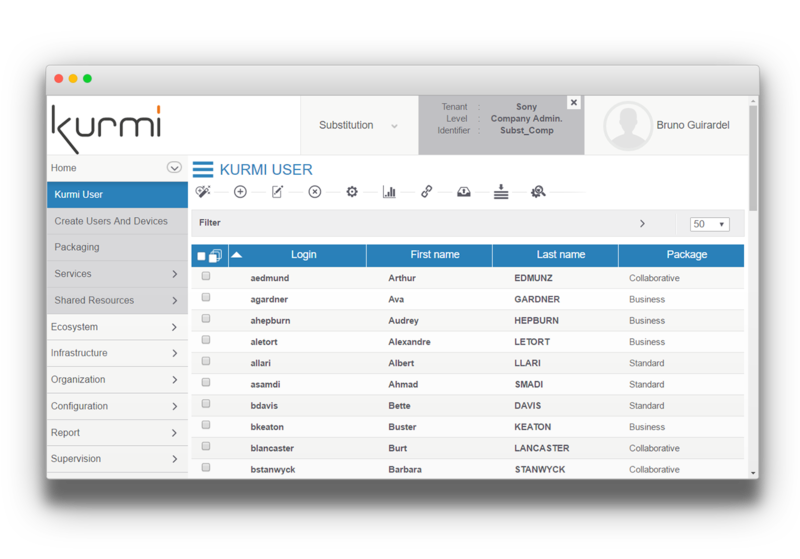 Kurmi enables you to easily perform bulk changes to your users. Access in real time available numbers of your DN pools across multiple locations or clusters. No more excel spreadsheets. All MACD (Move, Add, Change, Delete) operations can be grouped and scheduled to be performed at a later date. Let your end-users perform basic MACDs by themselves to relieve your support team. Synchronize your Directories with Kurmi to automate new-user provisioning on your Unified Communications Systems. 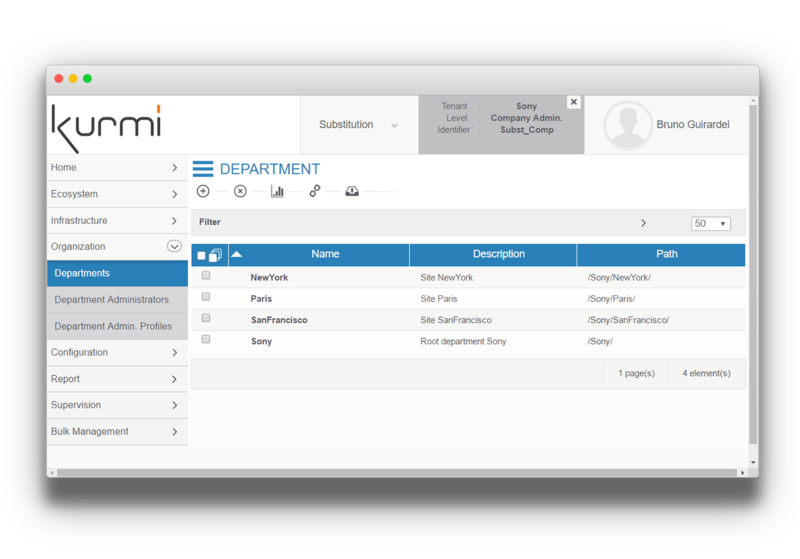 Easily integrate ServiceNow, Workday, or any ITSM applications with Kurmi to automate your business operations workflows. Create custom connectors to your internal applications to provision and manage your users. 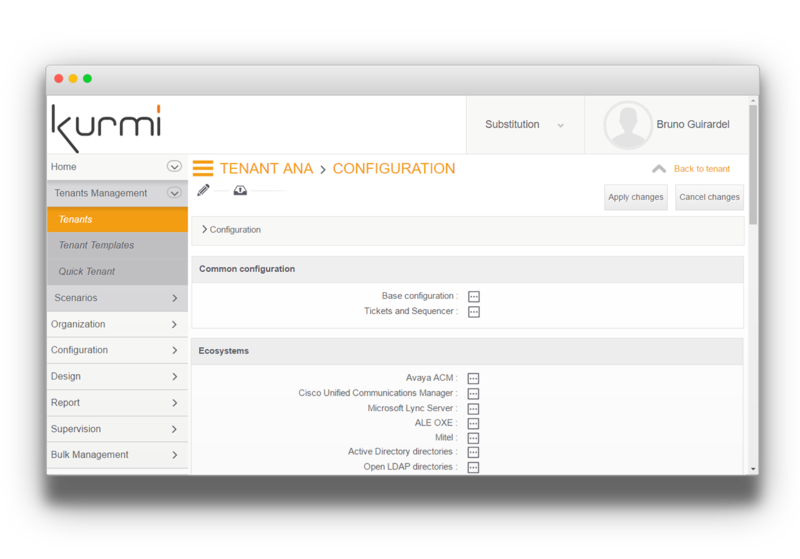 Kurmi automatically discovers the configuration (users, lines, devices, services, settings) for an overview of your infrastructure.